What could be more exciting than taking to the court as a referee in a national championship? It’s the epitome of officiating in squash and if you have the right skills, then we will help you achieve it. We have a talent pathway in place for talented and competent referees to progress to national level. Referees are supported as they move through the pathway through events and mentoring, and are offered assessments whenever possible by our team of experienced assessors. Young people under 16 years of age can achieve a Junior Referee Award by first attending an approved England Squash Referee Training Workshop and passing a junior referee examination. The Junior Referee Award permits you to officiate at junior matches for under 19 age groups at your local clubs. Junior referees may progress to club grade by passing the online club referees examination, but may only take the exam when they reach 16 years of age. 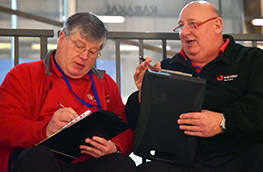 Junior referees must have attended an approved England Squash Referee Training Workshop within the past two years. Club grade referees may wish to work towards being a county grade referee if you have passed the referees exam within the past two years. As a rule, you'll also be required to achieve a minimum of three successful and consecutive assessments, with one assessor being at least a tournament grade referee or above. Candidates wishing to be assessed may be invited to attend England Squash events. achieve a minimum of three successful, consecutive assessments from national grade referees and a senior assessor. attend an oral exam and interview a senior assessor. achieve a minimum of three successful assessments from at least two different senior assessors (two of which must be national senior level matches at the British National Championships or an equivalent senior event). After achieving this, referees will need final approval of their promotion from the panel of senior assessors. 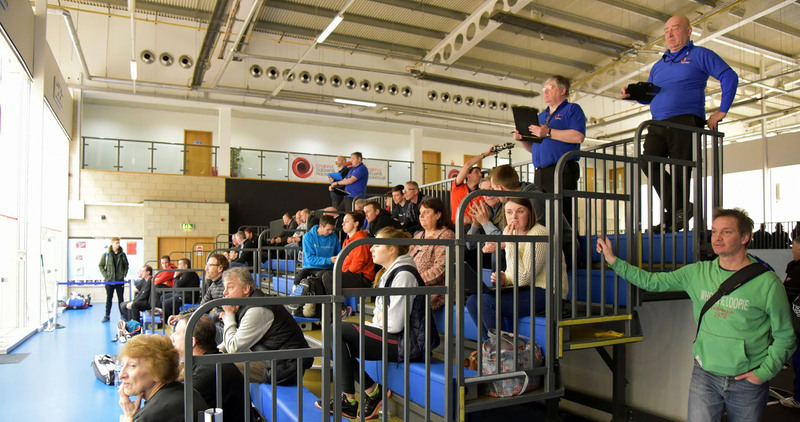 We nominate newly-qualified national grade referees to the European Squash Federation where they will have the opportunity to take part in major European events and work towards achieving regional grade referee status. Regional grade referees who demonstrate exceptional talent, skills and commitment will be nominated to the World Squash Federation to be considered for World Squash referee appointment.